Nufringen (Germany), September 18, 2018 - In the last 50 years, the average UW value of windows in Germany has improved by around 75 percent – from 4.7 W/(m2K) or worse to 1.1 W/(m2K) or better. Highly insulating spacers such as Thermix from the plastics specialist Ensinger have contributed to the sustainable increase in energy efficiency and living comfort achieved by modern insulating glazing. 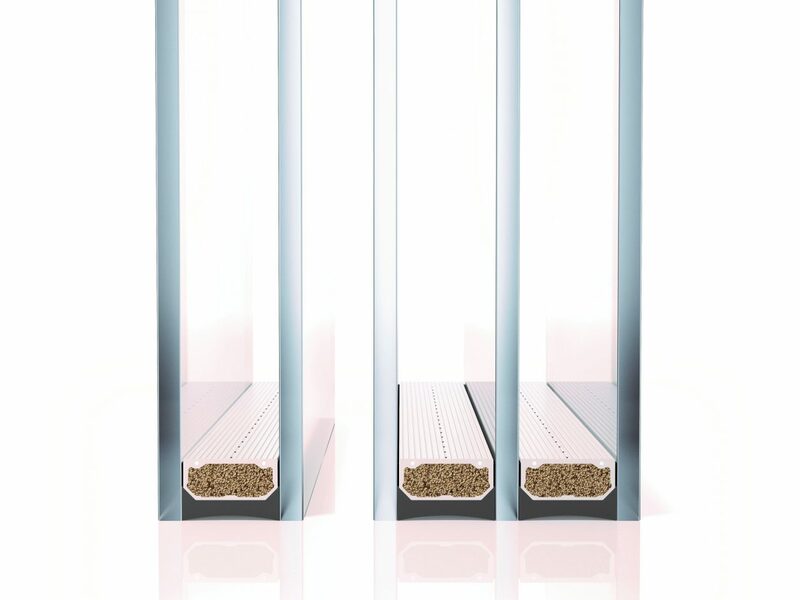 A material mix of plastic co-extruded with metal gave the new thermally optimised insulating glass spacer its name: Thermix. The company of the same name was founded by Georg Greubel, a resourceful glass expert from Altshausen near Ravensburg, in 1993. And as early as 1994, series production was commenced by its development partner Ensinger, who ultimately completely acquired Thermix in 1997. 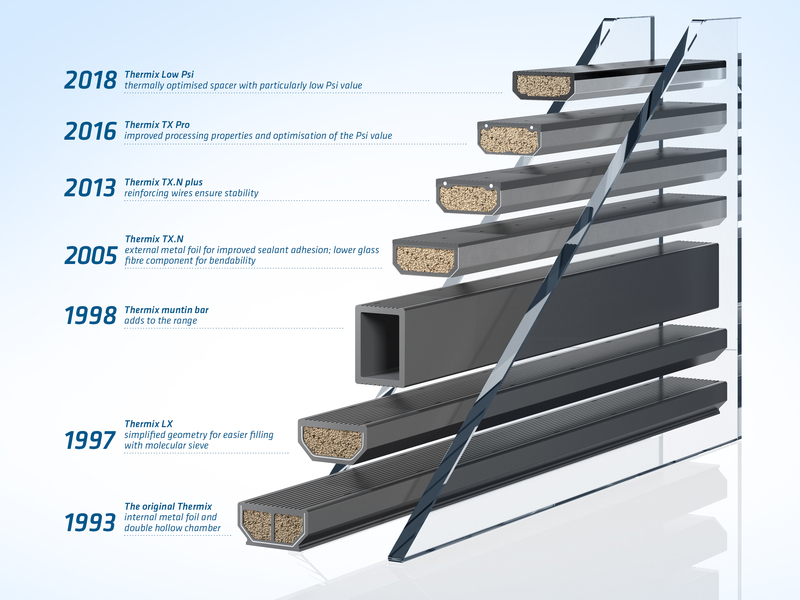 The plastics specialist was already known in the sector for the insulbar insulating profiles for the thermal separation of metal frames of windows, doors and façades, which it had launched in 1977. One thing was clear: The demands of customers and legislators in relation to the thermal insulation of buildings would increase further along with the energy prices. Since the end of the 1970s, hardly any single-glazed windows, double casement windows or coupled windows have been produced in Germany. Insulating glass has dominated. In addition, its thermal advantages have improved thanks to coatings and inert gas in the space between the panes. One weak point persisted into the 1990s, however, namely the thermal bridge in the edge bond of the insulating glass. 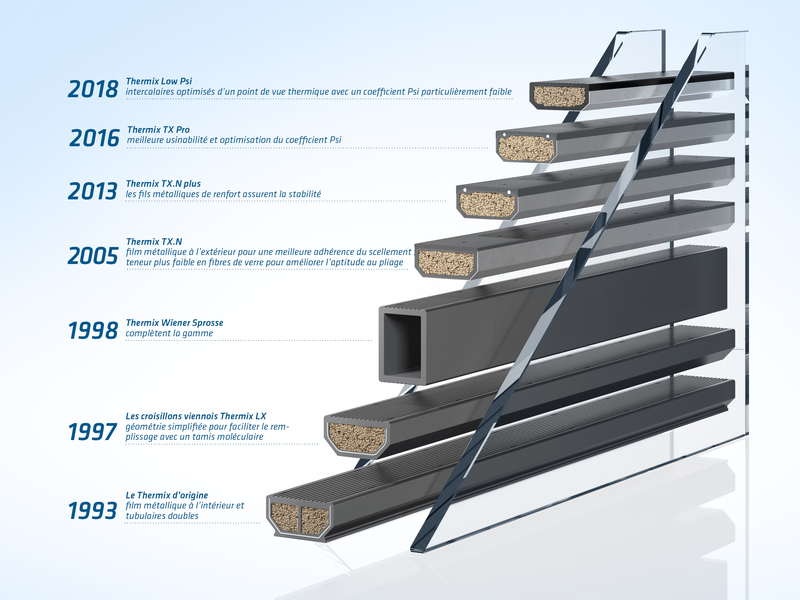 The architects from the growing passive house movement quickly recognised the benefits of Thermix. Lower energy losses meant a lower heating and cooling requirement, lower energy costs and lower CO2 emissions. Living comfort also increased. Since the glass edge remained warm when the outside temperatures were cool, barely any moisture from the room air could become deposited at the edge of the glazing. As a result, the risk of condensation and mould formation decreased. But Thermix was somewhat ahead of its time. In the 1990s, the standardised energy assessment of windows and façades did not even take account of the thermal bridge in the transition zone from glass to frame. Consequently, it was difficult to convey to many customers the value added offered by a Warm Edge. The insulating glass manufacturers hesitated, despite the fact that from 1994 onwards it was already becoming apparent in the draft DIN EN ISO 10077 (then 30077) that a comprehensive new assessment was in the offing. “We first had to pave our way into the mass market with some basic groundwork”, recalls Ingrid Meyer-Quel, who has been one of the founding members of the “Warm Edge Working Group” at the Federal Flat Glass Association (BF) since 1998. Together with research institutes, criteria were defined for the thermally improved edge bond, and frame models and calculation processes were developed. 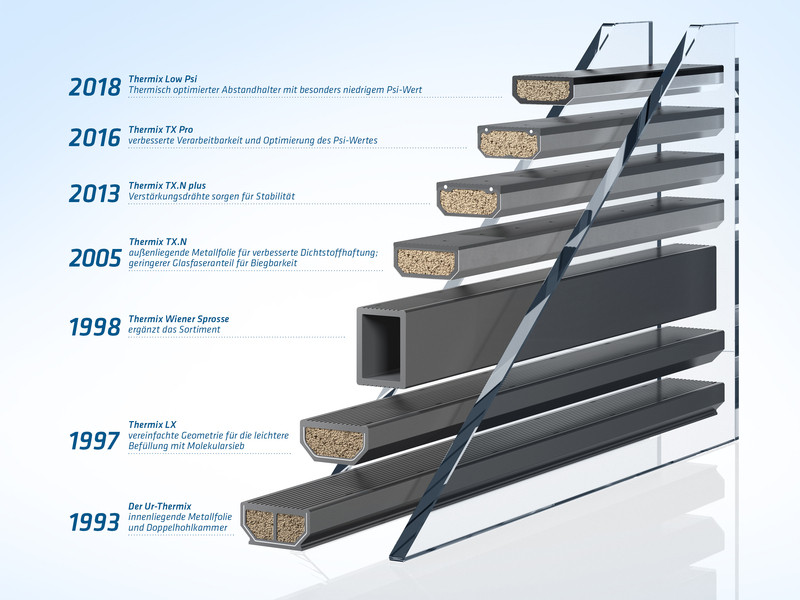 The BF data sheets with typical Psi values for windows and for façade profiles are now regarded as a reference source far beyond German borders. In November 2000, DIN EN ISO 10077 came into force. The Psi value as a linear thermal transmission coefficient for the thermal bridge at the glass edge was now incorporated alongside the area-weighted values of glazing (Ug) and frame (Uf) into the calculation of the U value of windows (UW). Thermally improved spacers got a significant boost as a result, which was further amplified as legislation imposed ever greater requirements on heat insulation. 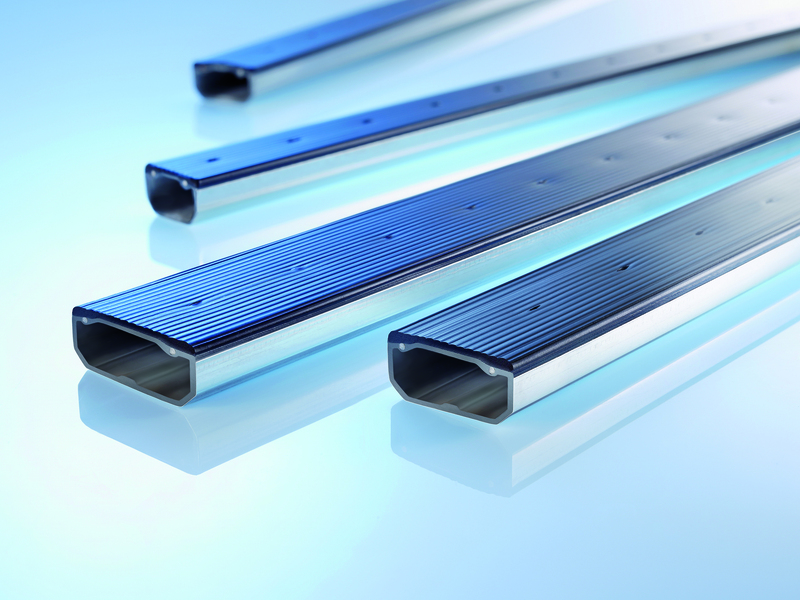 Today, the market offers a number of versions of the Warm Edge spacer: rod profiles made from stainless steel that can be processed into frames and hybrid profiles made from plastic and stainless steel or composite film, as well as flexible systems which are applied from the drum (thermoplastic spacers, TPS) or from the roll (foamed profiles) to the panes. Two thirds of all windows produced in Germany today have thermally optimised spacers – but why not all of them by now? In 1865 Thomas D. Stetson, an American, filed a patent for double glazing. Dehydrated air was used for the insulation between the glass panes, which were glued together. Stetson had also already come up with the idea of thermally separating spacers. But the materials and sealants he used were too permeable. The insulated glass was not gas-tight in the long term. 1930 saw American engineer C.D. Have develop the idea further. He used metal spacers which were hermetically soldered to the glass. In the following years insulating glazing sold under the brand name “Thermopane”, registered in 1941, became increasingly popular in North America and Europe. In 1955 insulating glass without an edge bond arrived on the market. With brands like “Gado” and “Sedo” the glass panes were fused together and offset at the edge. In 1959 the German glass finisher Alfred Arnold (ISOLAR) developed the organically glued edge bond with a metallic, hollow profile perforated towards the space between the panes and an elastic sealant. The method was further developed into the edge bond glued in two stages which is customary today. 1980s: In the USA the term “Warm Edge” was coined. It comprised all spacers which were thermally improved compared with aluminium. In 1993 Georg Greubel founded the company Thermix and, together with development partner Ensinger, launched the first thermally optimised spacer made from highly insulating plastic with a thin diffusion barrier made from stainless steel. The advantage: Thermix could be processed on existing facilities almost as easily as metal. Corner connectors and muntin bars complemented the portfolio.